Not only are short sale changes coming as of Oct 1st, but please be reminded that the Federal Debt Relief Act of 2007 will expire at the end of 2013. While it initially expired in 2012, it was extended for another year. It is unknown if Congress will extend it again. The Federal Debt Relief Act generally allows taxpayers to exclude income from the discharge of debt on their principal residence. Debt reduced through mortgage restructuring, as well as mortgage debt forgiven in connection with a foreclosure, qualifies for the relief. 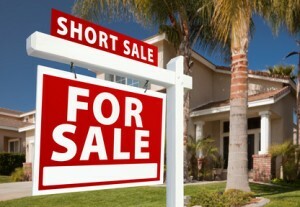 As a result of these looming changes, time is now to pursue a short sale. If you have not already started the process, you may lose out on some of the biggest benefits of a short sale if you continue to delay. A large number of claims in Florida are being filed as a result of forged deeds on foreclosed or bank owned properties. The deeds were almost always into trust and the transaction that was insured in the one from the trust to the new, the innocent purchaser. How this scam works is as follows. First, the property is either currently being foreclosed on, or has been foreclosed on and the bank has acquired it. Often times the property at issue is “abandoned” by the homeowner leading to squatters coming to the property. Second, a special warranty deed is recorded that looks to be from an officer in the lender/bank’s office. Third, the grantee on the deed is a trust. Not a trustee of the trust, but the trust. Fourth, minimal doc stamps are then paid on the transfer. The red flag or scam is that the grantee is a trust not the trustee of the trust. Moreover, another red flag has to do with the fact that only nominal stamps are paid for the transfer to the trust. Also, often times the notary who notarized the documents is not even a real notary. For instance, our firm recently worked on a case where this fraud became painfully evident. Our client had fallen behind on his loan, and was in the process of being foreclosed. A short sale had been agreed upon and the parties were working towards completing that deal. However, a routine title search revealed the homeowners had deeded their property over to the “Claude Monet Trust.” The homeowners, of course, had nothing to do with that transaction, and denied ever selling it to the “Claude Monet Trust.” But that did not stop the brazen fraudsters from going so far as even filing a satisfaction of mortgage. As this was going on, squatters then appeared on the property, which further complicated matters. Fortunately, the notary who had notarized the deed was non-existent, and the doc stamps paid were improper, among other irregularities. We were able to work with the bank and get all the fraudulent papers stricken from the court file without having to file a quit title action, and we were able to complete the short sale. But our story is not unique to the South Florida real estate landscape. Indeed, a partnership called Presscott Rosche or Prescott Rosche, is taking advantage of Florida’s foreclosure process in a fraudulent manner too. This company has claimed more than thirty (30) houses and condos throughout South Florida by fraudulent means. This is a very troubling development to many homeowners as the company has easily passed fraudulent deeds through the court system. These deeds often times do not contain the signatures of the proper homeowners; rather they contain forged signatures. On one occasion, Prescott Rosche filed a deed saying Frank Lopez and his wife transferred their Kendall to their partnership. Mr. Lopez first found out about this when he returned to his homes months after vacating it to find three people living in his home. He informed the police, who arrived along with four other men who brought a purported deed to his house. Lopez was later sent an apologetic letter by Prescott Rosche along with a deed that transferred the property back to Lopez. This was one of ten (10) deeds, which where transferred from Presscott Rosche back to its original owners. Along with Prescott Rosche many fraudulent antics, they also have many employees under fake names and with criminal pasts. For instance, one of the partnership’s agents is listed as Daya Oluz, who in actuality is Claudia Zuloaga. Zuloaga is known to be an office manager for the company. She most recently worked as a tax preparer; who was banned from submitting tax documents after it was alleged that she was orchestrating a tax fraud scheme. Another example of this is Esteban Oviedo, who used the company’s fraudulent practices to take over a home which was owned by a German couple. Oviedo was suspected of breaking into the house and changing the locks. Oviedo claimed to have a proper lease to the home and was not convicted. Fraud seems to be involved in every aspect of Prescott Rosche and it seems as though they have continued to proceed in fraud with relative ease. They often times are acquitted from claims against them, as the court claims there is not enough evidence to show they are not true owners. Many of these fraudsters have mastered avoiding major legal issues as they rarely show up in court to defend claims against them. 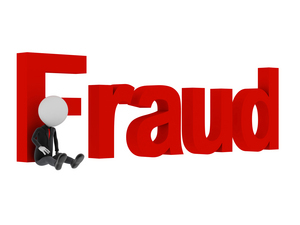 Contact our firm today if you believe that you have been the victim of a fraudulent transfer of your property. In an “all options on the table approach,” lenders across the United States are giving cash incentives to borrowers who complete short sales on their properties. 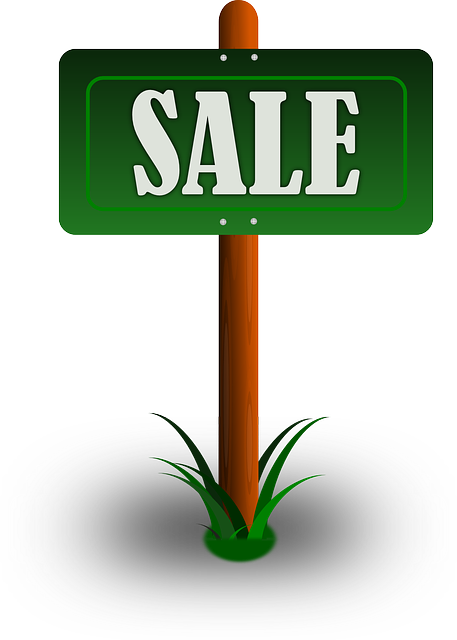 A short sale is an alternative to the foreclosure process. It essentially allows a borrower to sell his or her home for an amount less than what is owed on the mortgage. Even without the incentives, short sales have been increasing every month as of late. And these numbers are likely to increase exponentially with big lenders such as JP Morgan Chase, Bank of America, and Wells Fargo, to name a few, offering anywhere from $5,000 to $35,000 at closing to sellers. Bank of America alone completed 107,000 short sales in 2011, which was up from 92,000 in 2010. With short sales, lenders are trying to prevent themselves from incurring the financial expense and protracted human work hours involved with foreclosure litigation. In most instances, a short sale coupled with incentive payments to borrowers, can save lenders money compared with the expenses. There are even federal programs that borrowers could qualify for that may provide them with financial relief if the short sale is approved. According to a 2008 survey by the Joint Economic Committee of Congress, lenders paid an average of about $50,000 when a foreclosure takes place. With the cost of legal services on the rise, it’s no wonder why lenders such as Coldwell Banker are opting to pay up to $20,000 in incentives versus going through a long foreclosure process. For now, incentive payments are far and few between; however, lenders will have to keep this option open because loan modifications are not always available to borrowers . And banks are well aware of the fact that many of these mortgage payments are long over due. In Florida alone, half of its loans in the foreclosure process are two years past due. If you have fallen behind on your mortgage payments and are facing foreclosure, it is imperative that you assess your legal rights and talk to one of our real estate attorneys today. Do not walk away and allow the bank to foreclose on your home. One of our attorneys can defend a foreclosure lawsuit, which might give the home owner additional time to secure a short sale or loan modification. Contact us today. The real estate boom has come and gone. Today’s market, driven by short sales, looks much different than it did five years ago, during the peak of the boom. The real estate boom was created in large part thanks to banks and mortgage companies that competed fast and hard to attract borrowers. Gone were the days of requiring borrowers to have good credit and cash down payments. That traditional model was replaced by aggressive, accommodating and very creative banks and mortgage lenders. These aggressive institutions created new loan programs revolving around “stated income” or “no income verification” loans, as well as 100% financing, and adjustable rate loans with introductory, ultra low “teaser” interest rates. The thought process, at the time, was that no one would lose money on investing on people’s homes. After all, and at the time, the country was experiencing record growth in the real estate sector. It was not uncommon to realize double digit growth/profits in as little as several months. In other words, how could any of the parties to the transaction get hurt with the double digit level of appreciation that the market was enjoying at the time. The speculative boom was in full force. Well, today we know that the madness came to a screeching stop, and it crashed the nation’s economy with it. But the collapse of the real estate market has also brought fresh opportunities to the savvy investor or purchaser. Short sales now dominate the market. Where many purchasers had purchased real estate with no money down, it is not surprising that many of them find themselves in a precarious position today. They are upside down in their loan, owing more to their mortgage lender than their property is worth. If those borrowers are fortunate enough to find a purchaser who can qualify for a traditional, fully documented mortgage loan under the new, and tighter, lending guidelines, then they need to push for a short sale approval. A short sale is a transaction the proceeds of the sale will not be sufficient to cover the outstanding debt and closing costs. 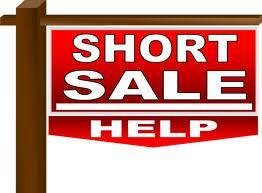 However, the short sale process can often times be a maddening one that takes a lot of time. Indeed, it takes on average 501 days to complete a short sale in South Florida. And you will often times need to retain the services of a short sale specialist to held navigate this issue. We are certainly in difficult times. At Alvarez & Barbara, LLP, we understand all of our client’s individual needs and pride ourselves in providing high quality service. According to news reports, the downturn slide in home prices may continue for another three years. Homes in default, or foreclosure, that may be offered for sale are preventing the market from bottoming out after a significant plunge in real estate values over the past few years. These properties, called shadow inventory, are in addition to homes that are vacant or that may soon be put on the market by owners. The issue right now appears to be that there is more supply than demand. And much of this supply may actually be homes that are “underwater”, thereby necessitating the need for a short sale. Short sales are seeing a strong rebound as banks are increasingly trying to work with borrowers to approve short sales, and new federal programs are also encouraging more short sales. Nonetheless, the continued rise in supply is a threat to all efforts attempting to boost the housing market while potential home buyers await better deals. Since more price declines are required for a legitimate rebound, it may take three years before we can actually expect a rise in home values. It is expected that once prices bottom out, prices will increase at a rate of 1 to 3 percent per year. This means it may take more than 10 years for the market to return to its peak. Regardless, it appears as though we can look forward to the recovery, in the real estate market, to begin some time in 2014. The Miami lawyers at Alvarez & Barbara, LLP, are on your side. We are experienced trial attorneys who will help you understand your rights and options under Florida and federal foreclosure laws. Contact our law firm today for a free consultation and case evaluation. Consider Your Options. Contact Us. For a free consultation with a Miami lawyer familiar with the local real estate market, contact Alvarez & Barbara, LLP, today. We represent clients in Miami, Homestead, Hialeah, Coral Gables, and throughout South Florida. According to the South Florida Business Journal, foreclosure filings were up across South Florida in July. Additionally, more homes have flooded the market in the past 10 weeks sparking many questions about the effect of foreclosures on the marketplace. Florida had the third-highest foreclosure rate in the country with one in every 171 housing units receiving a foreclosure filing in July. Moreover, there has been a 4.6% increase of homes for sale in South Florida since May 31st, and that represents the first two month rise since the housing bubble burst. It is therefore important to consult, and hire, an experienced foreclosure defense attorney to defend your rights. An experienced foreclosure defense attorney will be able to assess and evaluate what defenses you may have during the foreclosure process, and aggressively advocate your positions in the foreclosure. And when given an opportunity to defend these cases properly, we have actually not only won those cases, but we have secured attorney fees in our favor. In Miami-Dade County, 1 in every 138 homes fell into foreclosure in July. Foreclosures in Palm Beach County shot up 77% in July, to 3,759 from 2,121 the month before, and were up 41.7% from a year earlier. In Broward County, 1 in every 125 homes was in foreclosure in July. In Broward, there were 6,471 foreclosure filings in July, and that represented a 4.76% increase from June. These numbers are particularly troubling to the real estate recovery. For the past two years, the housing supply had been plummeting. Indeed, there was a string of 24 straight months where the housing supply declined. However, and in addition to the increase in foreclosure filings in July, the past 10 weeks have also seen an increase in the amount of supply in the market, i.e. an increase in the number of homes for sale. This is a troubling sign as it illustrates that there is still considerable uncertainty in the real estate market. This new trend could mean further declines in home values and asking prices. For buyers, more inventory means more homes to choose from, and more leverage when negotiating prices. For sellers, this means more price reductions and likely more time for the property to stay on the market before it is sold. One possible explanation for the increased inventory is that banks are slowly starting to dump more distressed properties back on the market. These distressed properties will no doubt likely drive prices down, and also increase inventory. The result could be further price reductions in a market still searching for a bottom. Short sales once were extremely rare. But now, with unemployment still high, and home values down, more homeowners are pursuing short sales when they can’t afford their mortgage. Indeed, we recently wrote about the rise in short sales in Miami. The sales of homes for less than the amount owed the bank, known as “short sales,” have been widely viewed as an alternative that could help slow the foreclosure epidemic. In theory, delinquent homeowners escape a mortgage they cannot afford, and lenders, although taking a loss, avoid the even costlier process of completing a foreclosure. However, many homeowners have struggled to sell their home in short sales. 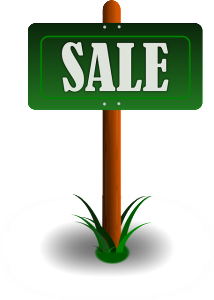 A USA Today report revealed that only about 1 in 5 short sales transactions actually close. Help could be on the way. Thanks to the federal government’s Home Affordable Foreclosure Alternatives, or HAFA program, many struggling homeowners may get some much needed relief. Under HAFA, borrowers receive preapproved short sale terms from the lender prior to putting the home on the market. The HAFA guidelines apply to lenders who voluntarily participate in the HAMP program. The Department of Housing and Urban Development says more than 100 servicers have signed up to participate in HAMP, covering more than 89 percent of mortgage debt outstanding in the country. If you think you qualify for HAFA, or wish to learn more about your alternatives to foreclosure, please contact our office today. We recently wrote about the rise in real estate sales in Miami. Part of the reason for the rise in real estate sales locally is that many banks have become more willing to allow sellers to sell their homes via short sales. 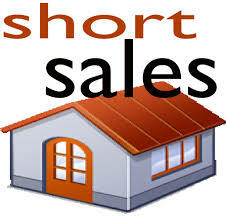 Consequently, short sales now account for one in every four homes sold in South Florida. For instance, in June, there were 944 short sales in Miami-Dade County, and that is up from 379 short sales a year earlier. It seems that banks have become more willing to negotiate with buyers willing to sell their homes in these tough economic times. Therefore, those seeking to get out of foreclosure or stop foreclosure sales in South Florida need to consult with an experienced attorney about their options. Short-sales are an option to potentially avoid a foreclosure sale, but it has its own set of drawbacks and benefits that need to be carefully analyzed. In Miami-Dade County today, half of the pending single-family homes for sale on the Multiple Listing Service are short sales. The increasing number of short sales and bank owned properties coming to the market has put a downward pressure on real estate prices in Miami, and South Florida in general. In June, median prices of existing homes stood at $203,300 in Miami-Dade County, and that is down about 4% from the same month a year ago. Median existing condo prices at $128,000, were down about 9% in Miami-Dade County. Increasing short sale approvals is one reason why South Florida has seen a recent resurgence in real estate sales. In July, pending home sales in Miami Dade County stood at 10,113, and that is an increase of 40.5% from July 2009. In Broward County, pending sales stood at 7,830 in July, and that is up 25.4% from a year earlier. These favorable numbers can also be attributed to many foreign buyers coming into our market and paying all cash for real estate priced at very attractive prices. According to the South Florida Business Journal, homes sales were up in June. Sales of single family homes in June rose by 23.6% from May. However, new home sales nationwide were down 16.7% from the same period a year ago. This may be a good time to consult with an experienced real estate attorney, and foreclosure defense attorney, to determine your best course of action if you are looking to either sell or buy your home at this time. The changing real estate market requires you to consult with a professional that knows this market, and is prepared to guide you through the ups and downs of the ever changing market. In Miami-Dade County, in June, 33% more condominiums were sold than in June of 2009. As for single family homes, June saw a 1% increase of sales as compared with June of 2009. However, median sale prices for both condos and single family homes were down for the year. In June of 2010, median sales prices, in Miami-Dade County, was down 9% compared to June of last year, but up 2% from May of this year. For instance, the median prices for a condo was $128,800. For single family homes, the median sales price for a single family home was $203,000, down 4% for the year, but up 3.4% for the month. Statewide, sales prices were also down. For instance, median prices were down 5% for single family homes, and 16% for condos. Nationally, June sales of existing homes were down 5.1% from May, but up 9.8% from June of 2009.